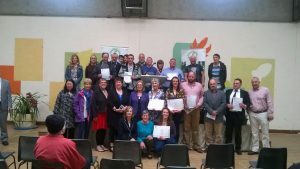 QQI Level 5 Certificate in Horticulture. The above course is also available by Distance Learning and Part Time (Sept – May). Who can complete a course with us? All courses at the college are externally certified. Certification at level 5 and level 6 is by the Department of Education through Quality and Qualifications Ireland (QQI Award). The college charges a registration fee of €300, which covers administration and some of the cost of printed course material. A bargain! What are you waiting for! These are valuable in directing each student towards their own area of interest and in gaining valuable skills in organic production. 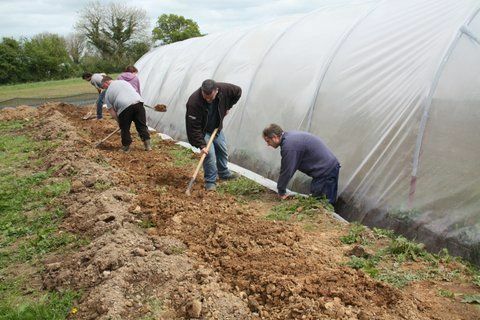 Work placements usually are with certified organic producers of high standard. Where do people live while studying at the college? Some students choose to live in their existing homes and we have students who travel from as far away as Galway and Cork to attend the college. However, if you’re studying full time you may choose to live in or around Dromcollogher. There is a range of good value accommodation to rent in the area and we can provide help with recommending places. There are plenty of good places to rent both in the village of Dromcollogher and in the beautiful surrounding countryside. Some students choose to rent a room in part of a large traditional house with great character and communal facilities that is around 10 minutes from the college. We’ll help you find a place to suit you. What do people do when they’ve finished? At the Organic College we pay close attention to how our past students are getting on. Most people who have completed courses at the college have been able to find work doing what they want and using the skills they have developed at the college. Some have set up their own successful businesses growing fruit and vegetables for the organic market including restaurants and farmer’s markets. Others have gone on to manage or convert organic farms. And some students have chosen to work overseas in sustainability projects or organic enterprises in places from India to the USA. College students range in age from nineteen to mature adulthood. Most are from Ireland but others are from Britain, France, Belgium, Spain, Germany, Austria and the U.S.A. All students experience rural living and enterprise development through the facilities of the college. On graduation they become employed in a variety of enterprises from food production to training or services for the growing organic sector world-wide. The VTOS scheme provides a range of courses to meet the education and training needs of unemployed people. It gives participants opportunities to improve their general level of education, gain certification, develop their skills and prepare for employment, self-employment and further education and training. Please contact the college for an Application Form and application details. 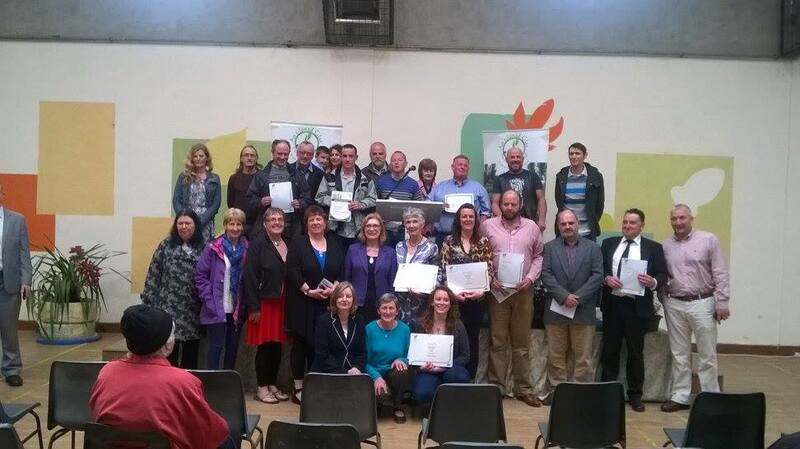 The Back To Education Initiative provides part-time further education programmes for people with less than upper second level education in a range of flexible learning opportunities. You can also take part in BTEI if you are working and on a low income. The aim is to give people an opportunity to combine their learning with family, work and other commitments. BTEI offers a wide range of subjects from Junior and Leaving Certificate courses, catering, tourism, communication, arts & crafts, and others. Courses are certified by FETAC. For application forms and further information on BTEI options in your locality, contact the Adult Education officer in your local ETB or your local Adult Guidance Service. Part-time students may be eligible for a back to education initiative allowance, B.T.E.I., subject to approval by the Department of Education. This funding comes via the National Development Plan. In addition, enterprises started in Level 6 Advanced Certificate in Horticulture over a two year period may generate income for the students individually or collectively.